In 2015, KieranTimberlake selected the Ortlieb’s Bottling House, an old beer bottling factory, as its new home in Philadelphia. When designing the building, they challenged themselves to use only passive/active ventilation and dehumidification in the summer to maintain thermal comfort. However, after two years of testing and gathering occupant comfort survey information, it was clear that continuing with this approach was counterproductive to a highly efficient work environment. A chiller was installed in the summer 2017 to provide additional cooling and the survey data was used to define the thermal comfort profile for the office. Transsolar was engaged to transition the building to a hybrid natural ventilation system to minimize reliance on the newly installed mechanical chiller. Since the original design of the bottling house was always intended to use passive strategies, it was already well set up for natural ventilation. The studio has large clerestory windows, fans at the roof level to boost airflow when required, and windows at the occupant level. Designing the building-specific controls began with developing a 3D TRNSYS thermal model which represents the thermal behavior of the space. This was calibrated using extensive indoor environmental sensor data that was collected over the past few years. The calibrated simulation matched the sensor data exceptionally closely, which provided the confidence to use the simulation to predict how the space would respond to the proposed controls. Transsolar developed five clear modes of operation defined only by outdoor conditions, including modes which extend natural ventilation into the cooling and heating seasons. The logic behind referencing outdoor conditions embodies the approach to utilize the outdoor climate as much as possible. Within each mode, control logic was developed to determine how to operate the space to maximize occupant comfort while minimizing energy use. Additionally, it was recommended that mechanical supply air be varied based on both CO2 and temperature to save energy under the new controls. 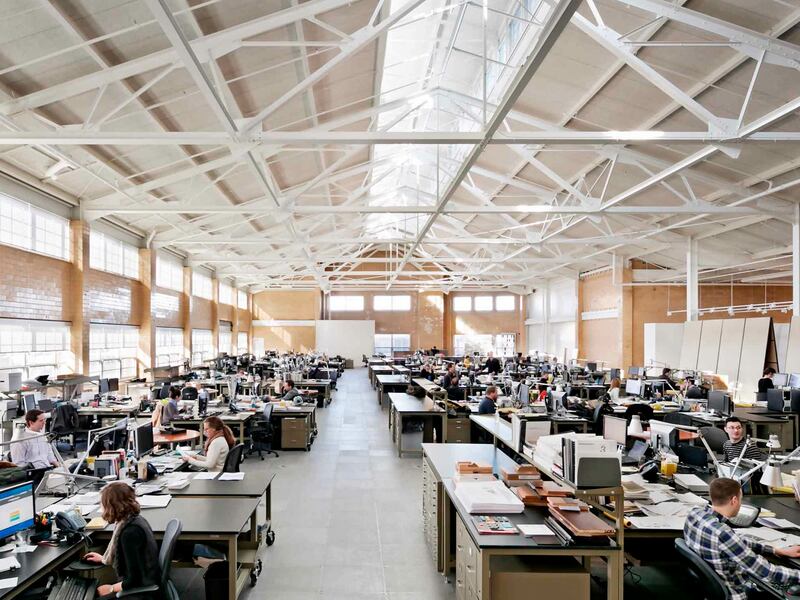 After the new controls were implemented in June 2018, KT reported that the system was working as designed, moving between natural ventilation and cooling modes without disrupting occupants. While unique weather conditions can require the need for manual operation to achieve desired comfort levels, the system accounts for these rare interventions through convenient override triggers and mode defaults. Both KT and Transsolar are looking forward to comparing energy bills and comfort surveys to determine the impact of the project overall in the coming year.